After a fabulously fun month in April, we had a super busy month in May. 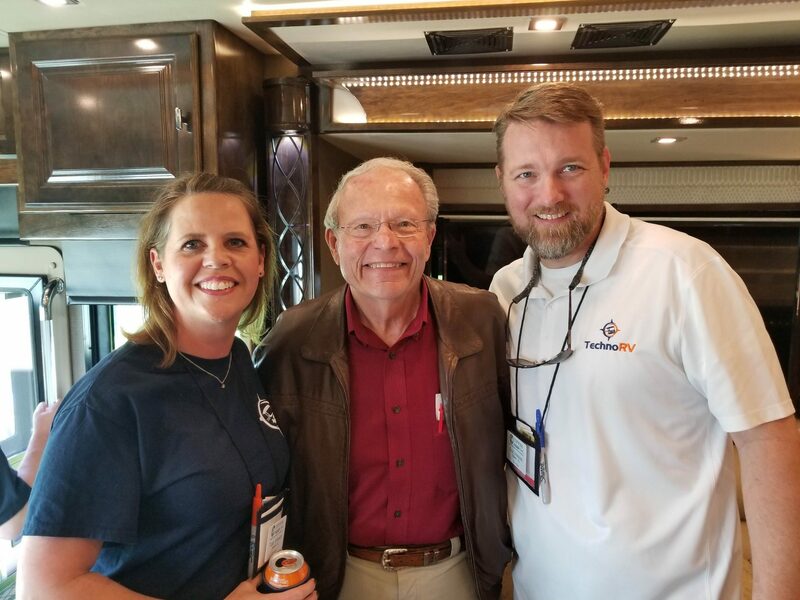 We always schedule RV shows along our travels, and it never fails we schedule them back to back all in the same month! 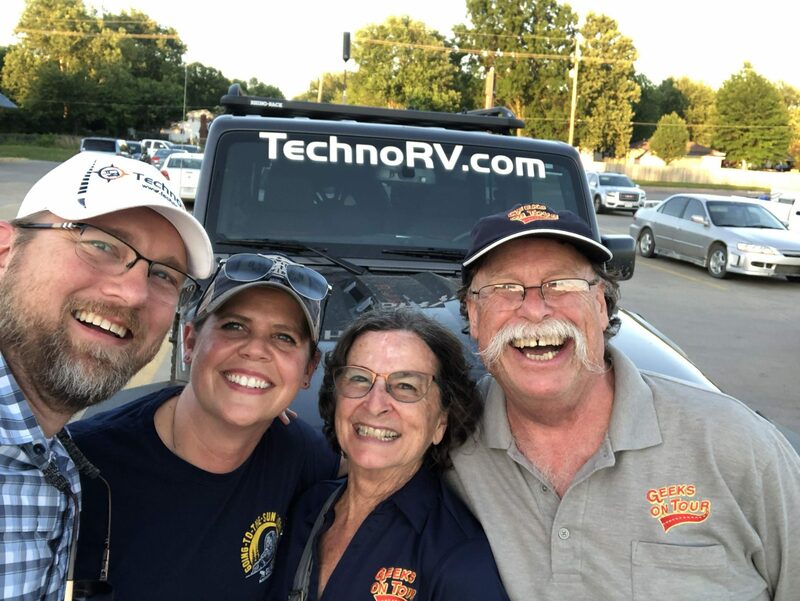 We did the Holiday Rambler and Tiffin show in Goshen, Indiana, then traveled to Sedalia, Missouri to teach RV Boot Camp and attend the Escapees Rally. The highlight of the month was being able to see vendor friends that we don’t get to see often. Although we work all day while at the shows, we do get to hang out at night with friends. We did get to meet Bob Tiffin while in Goshen which was kinda cool. We briefly talked about RVs, then we quickly went into Alabama football, of course. He gave us a great recommendation for an RV park in Tuscaloosa, but I think this year may be our last one to get a site for the season. We’ve been going to games for a couple of years now, but it really consumes our September – November and forces us to come back to Alabama. Well, I say this. Eric may have other ideas. 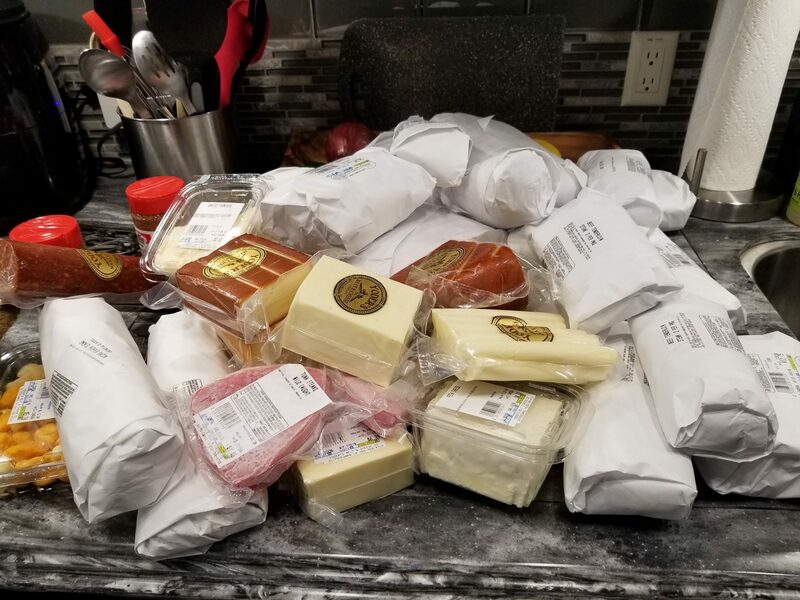 As a major meat and cheese lover, I was excited to get to go to Yoder’s Meat and Cheese while in Goshen to stock up on farm-raised meat and cheese. We always load up when we are in the area, and this was no exception. They have the BEST smoked horseradish cheese ever, and their meat is just divine. We literally filled our freezer, and I’m guessing we will do the same when we go back in August. May is also our anniversary month, and we celebrated 15 years of marriage….all while working at an RV show. Eric also turned 49 this month, and we spent that day working at an RV show as well. He refused to accept the day as his birthday, and we had to celebrate again once the show was over. Looking forward to June and taking a break from shows. You can check out our pics from May, but they are pretty pitiful. All shows, little fun, but here you go: Eric and Tami’s May Google Photo Album.